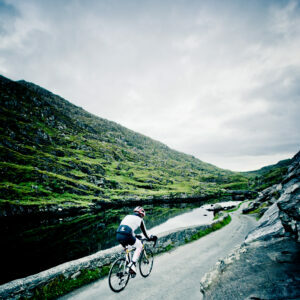 The world’s best ultra cyclists are poring over maps and downloading GPS coordinates following the eagerly anticipated release of the final routes for Race Around Ireland and its companion event, Irish Ultra Challenge. The final recce of the route for Ireland’s most daunting bike race was completed last week following which the race organisers rubber-stamped the routes to be faced by the intrepid entrants to the 2,151km non-stop bike race in August. The ninth edition of Race Around Ireland is, as ever, among the most difficult in the already arduous world of ultra cycling where riders race non-stop across vast distances and must choose when to rest, many relying on less than two hours sleep a day. As well as the unpredictable weather conditions, riders will face almost endless rolling hills on roads of inconsistent quality throughout the event which had won acclaim and a deserved reputation as among the very toughest bike races in the world. The route never strays far from the wind lashed coastline of Ireland as it takes the riders from the start line in Trim through 22 counties taking in sights including Newgrange, The Causeway Coast, Malin Head, The Cliffs of Moher, The Ring of Kerry, Mizen Head, the Garden County (Wicklow) and back to the finish line in Moynalty, County Meath. And all within a week. The solo riders have a deadline of 132 hours to finish. Along the way there are numerous challenges including an epic section of the route which passes from Killarney to Sneem which has reached legendary status in Race Around Ireland over the years as the most difficult on the entire route. The fastest solo racer on this section will need determination, courage and skill. Not just on the part of the racer but also their crew. It’s for this reason that the Award for this section will be dedicated to the memory of Ciarán Smith, a great friend and former competitor in Race Around Ireland who was lost in the Coast Guard Helicopter 116 crash earlier this year. Ciarán’s name will be carried on in this award, which will be earned by the fastest solo racer over Killareny to Sneem section. Meanwhile, the riders in the Irish Ultra Challenge have a 1,100km route tracing the route of its bigger sibling from Meath around the northern half of Ireland before cutting back from Galway to a finish back in Meath. 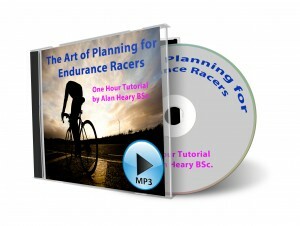 This race is seen as the perfect stepping-stone into the world of ultra-cycling. Solo riders need to make it back to Trim within 68 hours to be recorded as a finisher. Both events begin on August 27th in Trim, County Meath when the solo racers and the relay teams of two, four and eight riders are sent on their way. This year, the start features as the centrepiece of the new Trim Salmon of Knowledge Festival treating riders and spectators alike to an electric atmosphere in the start village in front of Trim Castle.